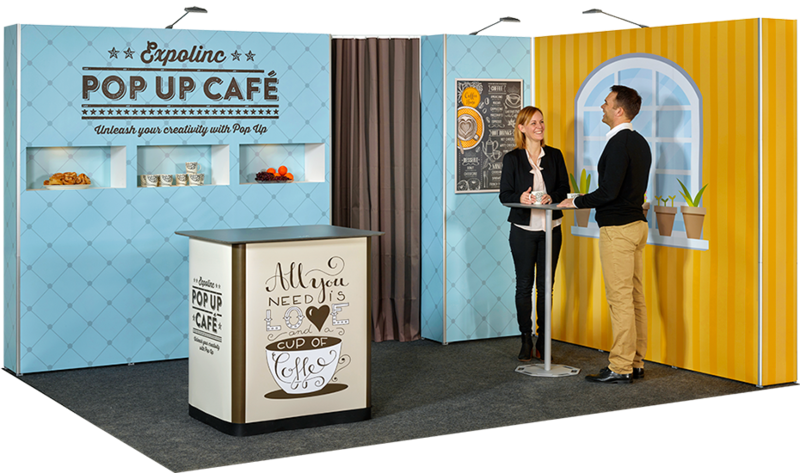 Create a flexible and cost efficient exhibition stand with Pop Up. Use the same images and combine the structures for the required stand area. Whichever solution you choose, the whole stand can quickly be dismantled by one person and packed into the sturdy transportboxes, that also can be converted into counters. Behind the curtain you will have a smart storage space. 1 pc Pop Up 3×3, 1 pc Pop Up 2×3, 1 pc Pop Up 1×3 and Standard Case. 1 pc Pop Up 4×3, 1 pc Pop Up 2×3, 1 pc Pop Up 1×3 and Double Case & Counter. 1 pc Pop Up 4×3, 1 pc Pop Up 2×3, 2 pcs Pop Up 1×3, Case & Counter and Portable Table. 1 pc Pop Up 4×3, 2 pcs Pop Up 2×3, 1 pc Pop Up 1×3, Case & Counter and Standard Case. 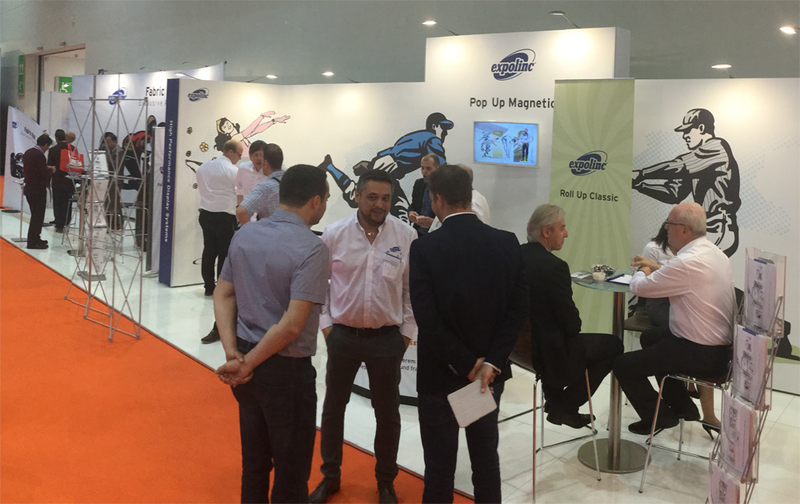 Read more about Pop Up Magnetic. 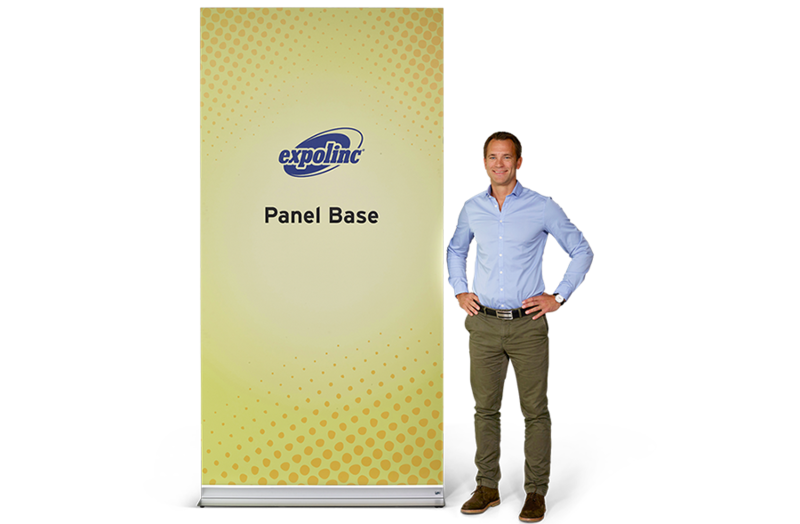 Panel Base is a floor standing, double sided display system that keeps all rigid board materials up to 19 mm in a firm grip. It is available in 80 (pair), 400 and 610 mm widths. Now we are introducing a 1220 mm version for really big presentations. The max height is 2440 mm and the set up is just as easy as the other versions. 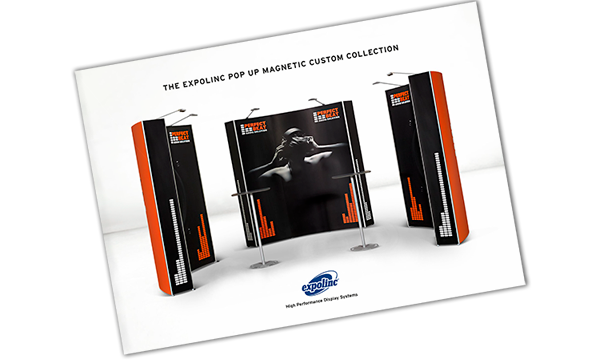 Download our new, inspiring brochure for Pop Up Magnetic! 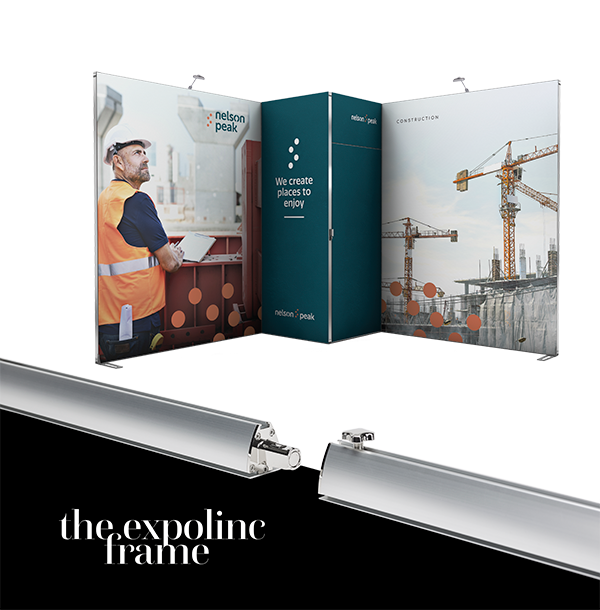 In the brochure you will find smart solutions and inspiring combinations of Pop Up Magnetic, including the new showcase, extra heights, flat sides and the new connection kit for sharp, 90° corners. Download the brochure (2.6Mb) or order the printed version from your nearest dealer. Pop Up Magnetic is designed for easy set up without tools. By combining structures and accessories you can easily create your own custom set. Now we are adding a showcase and a smart connecting profile to the range of Pop Up accessories. With Fabric System you can make a great impact with a backwall in your own size, shape and height. Choose between straight, inner and outer curves. Do you want to change the image or size? No problem, re-use the hardware for years and simply put on a new motive. The structure is easily built and the fabric is attached in working height before it is being lifted. Welcome to meet us at Viscom in Paris, hall 5, stand A41. 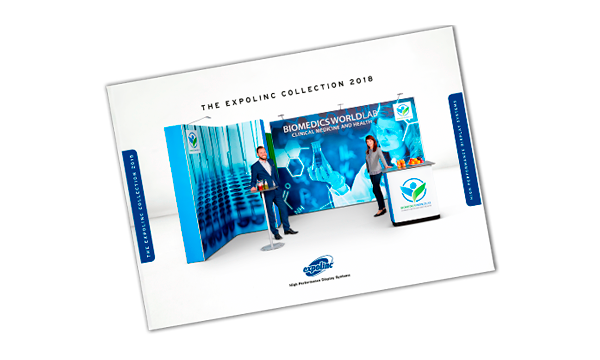 Our new Fabric Wall for large, stable backdrops of textile will be presented, as well as our complete product range of high quality display systems. Please visit Viscom for more information about the exhibition. Welcome!